PROMO-FAIR: JURONG POINT LEVEL 1 OUTSIDE MACDONALD'S, 22TH - 28th APRIL 2019. See you there! 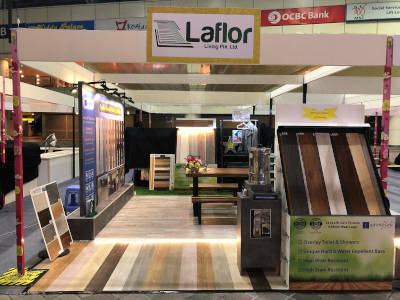 WELCOME TO LAFLOR!Commited to Provide You with Fast Flooring Solutions! 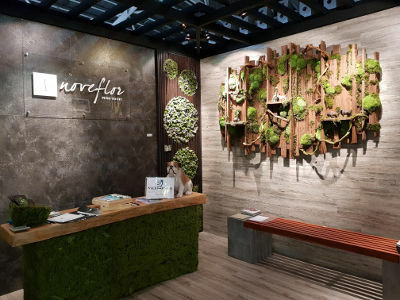 Laflor Living works with our customers to input creativity in their living spaces, indoor & outdoor. 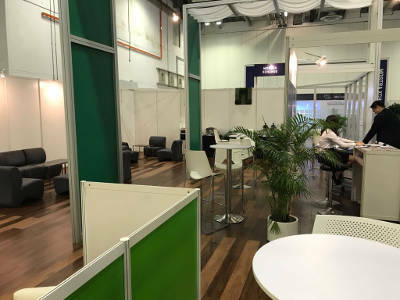 It’s our pride to deliver perfection of our customer’s imagination, whether it’s for their sweet home, conducive work area or creative business space. 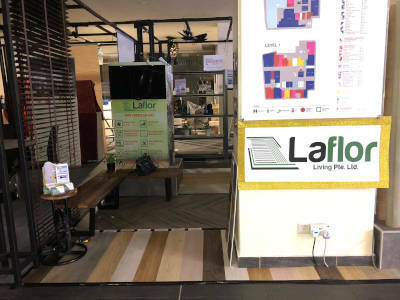 Laflor Living is the brand created by our group who has been in vinyl flooring for over 70 years. 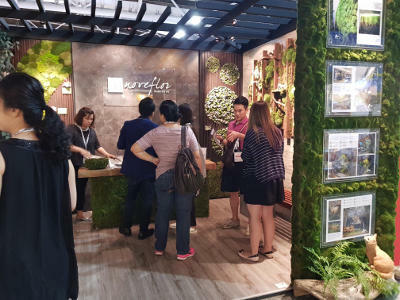 We seek to serve the needs of consumers who want a fast, fuss-free, quality & trusted flooring solution which provides comfort in their green living. 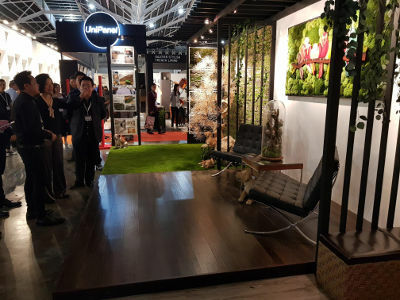 With our dedicated team of experienced flooring personnel, Laflor Living provides excellent quality & aesthetically appealing resilient floorings and wall coverings. 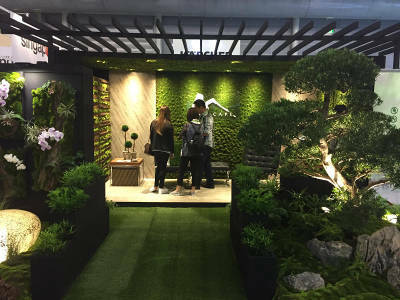 We also provide outdoor floorings of artificial grass turf and decking, to help bring nature to your living space. Our team is also well trained in providing retro-fit services like painting, concrete repairs using fast dry solutions and epoxy floor. Over the years, we have expanded our services to better serve our customers. We have gained our customers’ trust in our good quality product & to us, our customers’ satisfaction is our foremost priority. 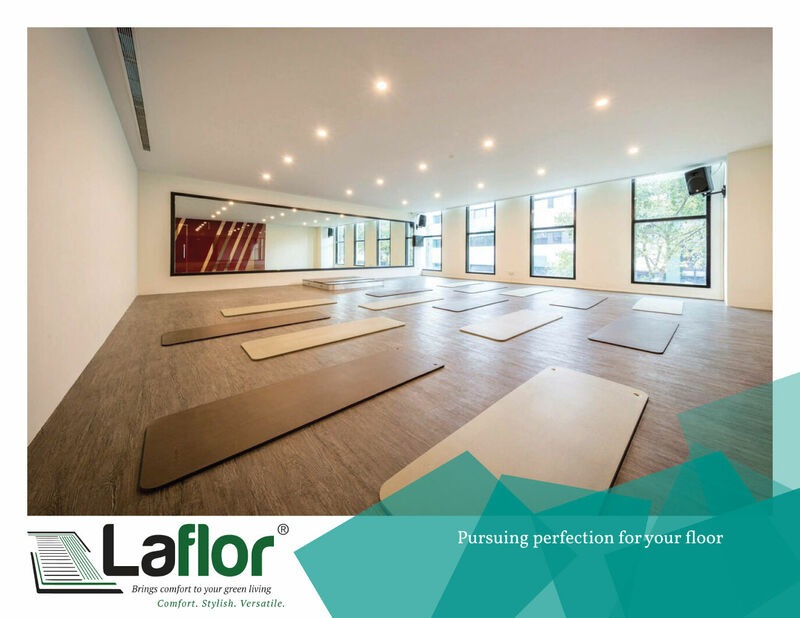 Laflor Living, your partner in creating your personalized living space, letting you experience elegance with pleasure and soothing comfort. 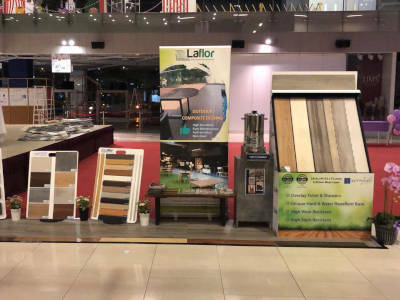 Don’t hesitate, call us now at 8122 9122, visit our sales gallery or email to sales@laflorliving.com, let us solve all your flooring needs! Unleashing a unique and revolutionary “PUSH-TO-FIT” interlocking resilient flooring, our NOVEFLOR vinyl flooring collection is built on an innovative two parts platform, which provides fast installation and a firm step finish. 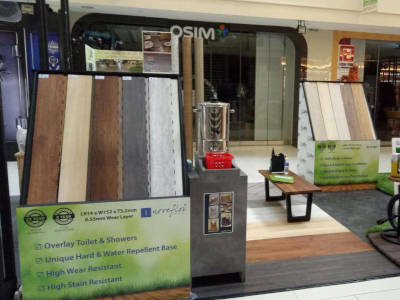 Our collections consist of beautiful designs ranging from natural wood to marble and modern cementitious look, the tiles are embossed with realistic textures to give comfort in every step. 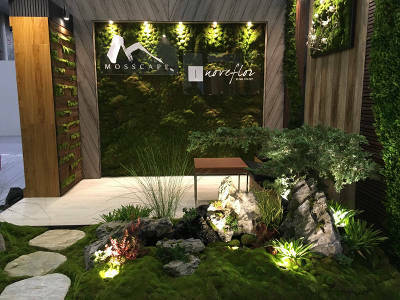 NOVEFLOR, your excellent floor choice for not only your interiors, but also wet areas like kitchen, toilets or sheltered balcony with its special heavy-duty base. Visit our sales gallery today to find out more! Resilient Vinyl Floor, a premium version of vinyl flooring. No glue. Click and lock mechanism with extra comfort. 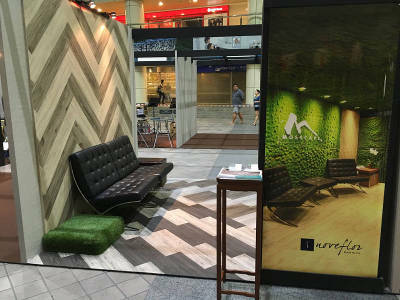 Vinyl tiles are recyclable, anti-termites and anti-bacteria. Easy to install, replace and maintain making vinyl tiles an absolute choice. Vinyl sheet in roll form comes in thickness from 0.5mm-2.7mm and various designs & colours to choose from. Carpet flooring has been a mainstay for offices and hotel due to its acoustic properties at the same time adding warmth and comfort. La-ecowood outdoor decking are made of various wood combination and 100% recyclable with 4 colours to choose from. 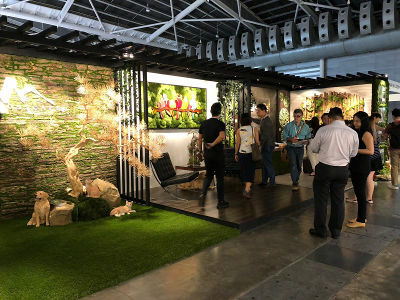 Carpet grass is preferred over natural grass for its easy maintenance and aesthetic appeal suitable for both indoor & outdoor. Woven vinyl flooring is a stylish luxurious flooring made of woven vinyl fabric with a homogeneous vinyl backing. Engineered Wood are more durable with different layers to reduce warping, expansion and contraction due to changes in weather. 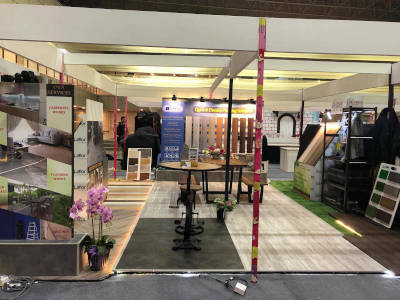 NEED A FLOORING SOLUTION? LOOK NO FURTHER! Epoxy flooring is durable and an easy to maintain commerical flooring. Need to freshen up your house? What better way than giving it a new coat of paint? Providing high quality cement screed, self leveling products and concrete repairs services. Supply & install vinyl/rubber sports floor for use in indoor sports & recreation facilities and rooms.